Almost every day during the spring, we go outside and play. It doesn’t necessarily matter what we play; we are warm, happy and outside. In winter, we spend our mornings unfreezing pipes with hairdryers and afternoons hunkered down with endless games of monopoly. Needless to say, I spend my cold winter days longing for spring. I look for signs of spring in the most unusual place – the dairy section of my supermarket. Nothing makes me happier than a March expiration date on my milk carton! But really, as we get closer to it, you can almost smell spring in the air – that hint of spring hanging on a cool, mild breeze will put me in the best of moods. 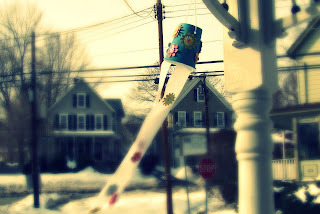 So I watch and patiently wait for my March-stamped gallon of milk, and gentle spring breeze. Let’s get ready for spring with this “Easy-Breezy” windsock, using supplies you might even already have on hand. 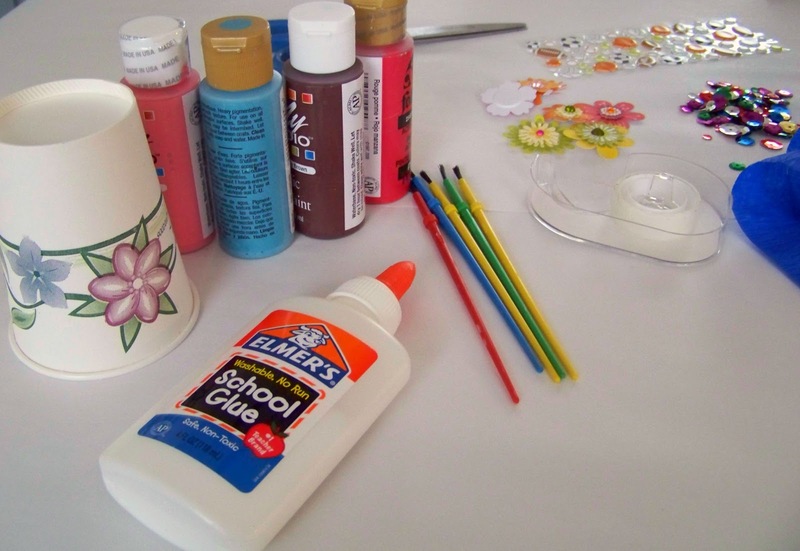 Kids can get creative by using their favorite colors and embellishments, such as sports-themed, floral or insect stickers. It’s time to say goodbye to the frigid winds of winter and hello to the gentle breezes of spring! Step 1: Adults only, use your scissors to poke a hole in the bottom of the cup. Cut out the bottom. 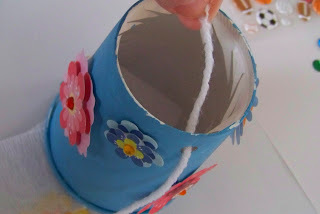 If there are any pieces that you can’t quite cut out, simply bend them down into the cup as pictured. 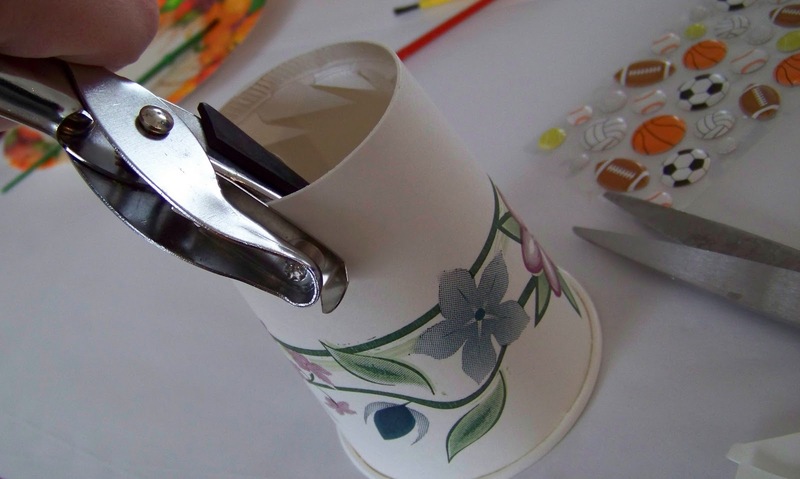 Step 2: Using your hole puncher, punch 2 holes, one on each side of the cup, near the bottom (cut) end. Step 3: Paint as desired; let dry. 2 coats might be necessary to cover any design on the cup. Step 4: Decorate with stickers and embellishments as desired. 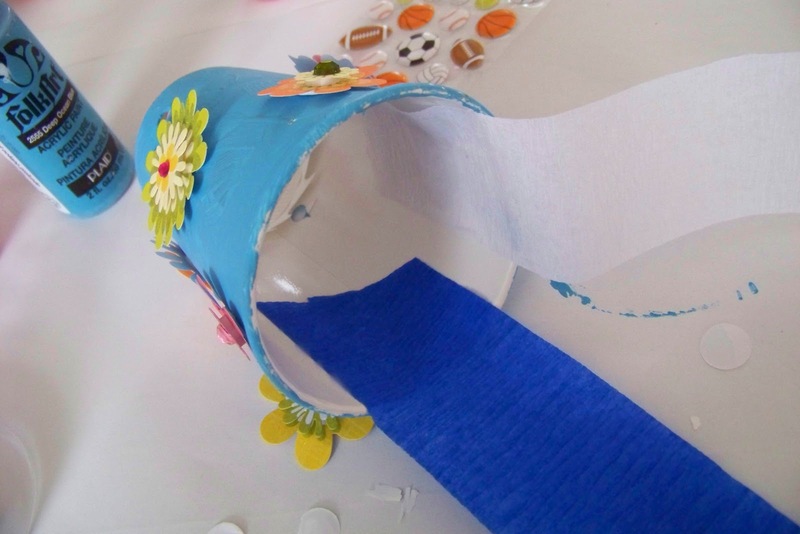 Step 5: Cut the crepe paper to your desired length and tape it to the inside of the cup, as pictured. You can use as many or as few strips as you like! 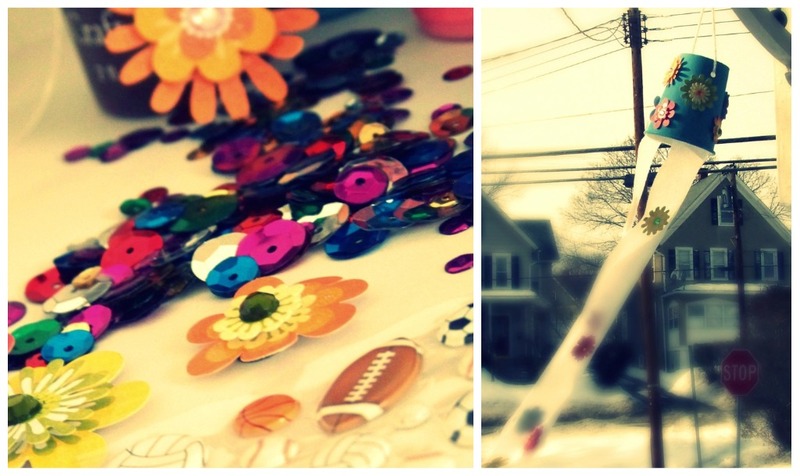 You can also decorate the crepe paper with sequins and/or stickers if desired. Step 6: Thread the ribbon or yarn through the holes. Hang your windsock on a tree, hook it to your front porch, or wherever else you like, and get ready to welcome spring!